Lifted before your eyes. Magic face roller. The art of facial rolling has kept faces firm and radiant for thousands of years. 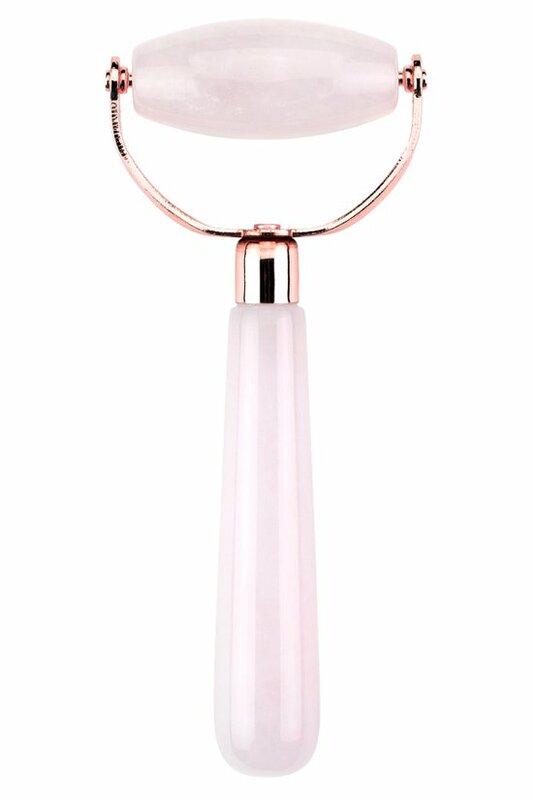 This rose quartz facial roller harnesses the healing properties of the authentic, polished crystal to depuff and sculpt a lifted, more luminous profile. It feels like an invigorating facial massage, a light touch is all you need to neutralize skin-dulling toxins and inflammation and boost your glow-getting circulation.
. Results are temporary, but striking. We suggest incorporating the roller into your beauty ritual: use it daily to roll on your serums and creams for deeper penetration of your treatments. Roll on clean skin or over your favorite serum, oil or mask. Results are instant, so you may roll occasionally, daily, twice daily or more. Skin should not be pulled or stretched during rolling. The lymph system is situated just under the surface, so a light touch is all thats needed. Featured on Good Morning America, The Today Show and in the pages of Real Simple and Allure magazines, makeup artist and author Jenny Patinkin has been highly sought-after by celebrities and socialites for her simple approach to beauty: "Lazy Perfection, The Art of Looking Great Without Really Trying" (also the title of her book). Jenny's collection of easy beauty tools helps you embrace flat-aging™ or "beauty in the now", the concept of aging with confidence to look and feel your very best.